Sign up now for the Greater Shelburne Falls Area Business Association this Saturday, April 2 at the Shelburne Buckland Communtiy Center. 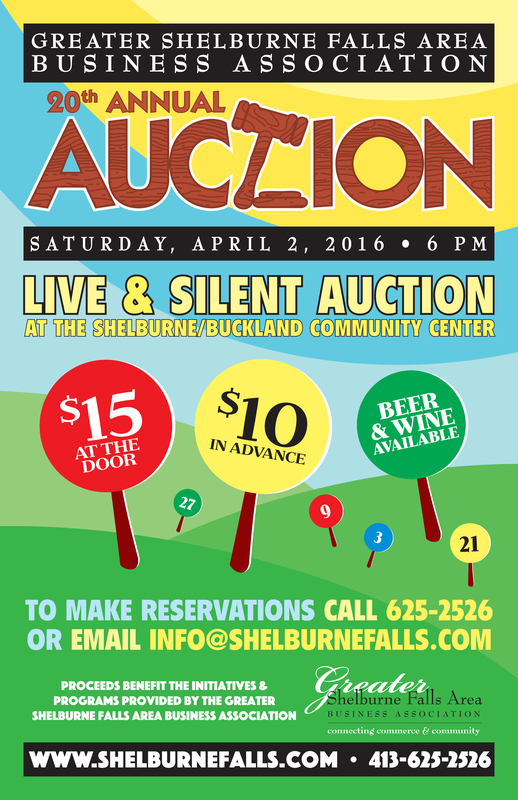 There is over 100 auction items to bid on including 3 getaways, local art, gift baskets, gift certificates and so much more. Tickets are only $10 and you get one free glass or wine or beer! Over 70 people are already signed up. Join the fun! Contact GSFABA at 413-625-2526. Look forward to seeing you on Saturday!